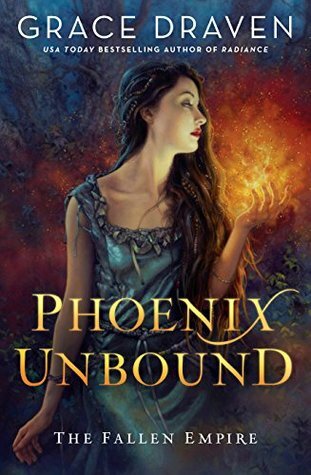 Today I am excited to share a new book, Phoenix Unbound by Grace Draven, and a giveaway for an exciting fantasy romance starter kit that includes some amazing authors and two of my favorite books (Written in Red, and Cry Wolf). These six books, the first in their respective series, are essential to building your fantasy romance collection! One lucky winner will receive the starter kit, which includes Phoenix Unbound, and twenty runners-up will receive an advance reading copy of Phoenix Unbound by Grace Draven! The giveaway runs September 3rd to the September 19th, 2018. One winner will win the starter kit, with books by Nalini Singh, Chloe Neill, Ilona Andrews, Anne Bishop, and Patricia Briggs; twenty runners-up will receive an arc of Phoenix Unbound by Grace Draven. See the official rules for all of the details. The publisher, PenguinRandomHouse, is sponsoring and running this giveaway. Go forth, enter the giveaway! And if you read Phoenix Unbound, come back and let me know what you thought of it.